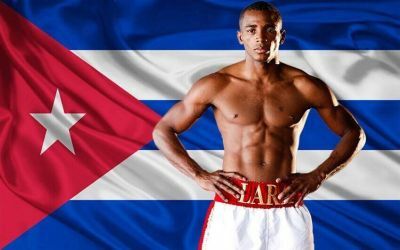 Cuban southpaw Erislandy Lara 25-2-2 (14) is confident that he can knockout Jarrett Hurd 21-0 (15) when the two meet on April 7 to unify their WBA, IBO and IBF junior middleweight titles at the Hard Rock Hotel & Casino in Las Vegas, Nevada. At 5-foot-9 “The American Dream” is noticeable shorter than the 6-foot-1 Hurd, but the Houston, Texas-based 34-year-old says that the size difference will have no impact on the fight result. It’s worth noting that Lara lost those two fights, although many people felt he deserved the nod against both Alvarez (SD12) and Williams (MD12). Hurd is coming off a 10th round stoppage of Austin Trout at Barclays Center in Brooklyn, New York last October when the former WBA junior middleweight titleholder’s corner stopped the fight when Trout could no longer see out of his right eye. With the win Hurd became the first man to stop the southpaw from Las Cruces, New Mexico. Lara fought twice in 2017. He scored a 12-round unanimous decision win over the previously undefeated Terrell Gausha in October at Barclays Center, Brooklyn and knocked out former world titleholder Yuri Foreman in January at Hialeah Park Racing & Casino in Miami, Florida. The reigning WBA and IBO junior middleweight champion insists he’s the puncher going in to this fight.